New Social Media, New Social Science? Charlotte Saunders is a Research Analyst at NatCen Social Research and the newest member of the NSMNSS team! She works on quantitative and secondary analysis projects across a range of policy areas. Previously, Charlotte spent three years working for Ipsos MORI on a variety of qualitative and quantitative projects. Most recently she spent several months with VSO in Tanzania managing teams of young volunteers working in secondary schools. Charlotte holds an MSc in Public Health from the London School of Hygiene and Tropical Medicine. Her research project there looked at inequalities in access to clean water and sanitation in South America. In the past decade social media has transformed many aspects of our lives. It has revolutionised the way we communicate and the widespread adoption of mobile devices means its impact on everyday life continues to grow. As social researchers, we know that social media opens up huge new reserves of naturally occurring data for us to play with. The large volume of data produced is a goldmine for quantitative researchers; the opportunities provided by big data are well documented. But there are also new prospects in qualitative research, with new sources of ‘thick data’ which help us to understand the stories, emotions and worldviews behind the numbers. Despite all these possibilities, many of us don’t know how to take advantage of them. There are lots of things to consider; from the technical knowledge required to access and store the data to the potential ethical issues involved in using people’s data for research without first asking their permission. The SAGE Handbook of Social Media Research Methods promises to guide researchers through the whole process - from research design and ethical issues, data collection and storage through to analysis and interpretation. The editors, Luke Sloan (Senior Lecturer at Cardiff University and Deputy Director of the Social Data Science Lab) and Anabel Quan-Haase (Associate Professor of Information and Media Studies and Sociology at the University of Western Ontario) have compiled chapters which cover the whole research process. Discussions of the limitations of naturally occurring data from social media, and some of the techniques that can be used to overcome them are practical and guide the researcher through the issues clearly. The chapters outlining the history, structure and demographics of some less common social media platforms give a good basic overview for those who rarely stray away from Facebook or Twitter. Overall this is a helpful guide to research using social media. The ethics discussions outline the key issues that researchers need to consider. There are also clear step-by-step guides which walk researchers through some of the technical processes needed to engage with social media sites. Simon Hegelich’s chapter “R for Social Media Analysis” is a good example; simple and easy to follow, Hegelich takes the reader through a simple project analysing and visualising data from Twitter using the free software programming language R.
Most of the book is well written and easy to follow although some chapters are less accessible and require significant existing knowledge. These chapters are likely to be valuable for experienced researchers looking to transfer their knowledge to a social media setting, but students and junior researchers may well find themselves scouring the internet for definitions and context. 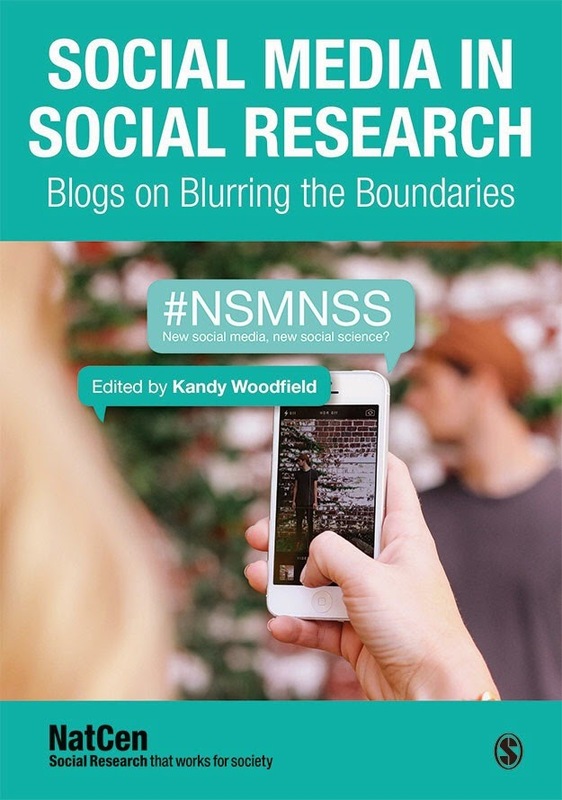 Social Media Research Methods fulfils its aim to allow researchers to “apply and tailor the various methodologies to their own research questions”. The step-by-step guides are logical and easy to follow and the case studies demonstrate how methods can be used in real research. For those with a good existing understanding of the research methodologies and techniques in their field this is an invaluable text opening up the social media research world. Those with less experience will probably need to refer to other resources to get up to speed with some chapters, but even then this is a useful addition to any social research library. The SAGE Handbook of Social Media Research Methods is available to purchase here. Should social science researchers embrace social media and, if we do, what are the implications for our methods and practice? This network, led by NatCen Social Research and SAGE along with our affiliate supporters (see below) is for people using or seeking to use social media in social science research who want to explore the implications of that question.